We all have our favorite in-game activities. For me, it's merciless piracy in Lowsec, and advanced miner protection in Highsec. These are my specializations in this universe. 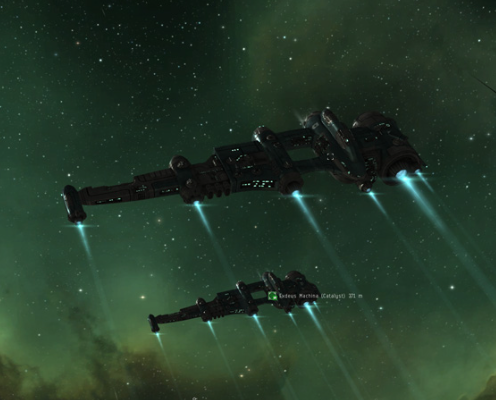 The latter remains the biggest source of my best EVE memories. An important element that keep Highsec entertaining is the following triangle: miners, gankers and anti-gankers. Each of these three sides need the other two for a maximum level of fun, because each of them creates content for the other two. It's a triangle of content. 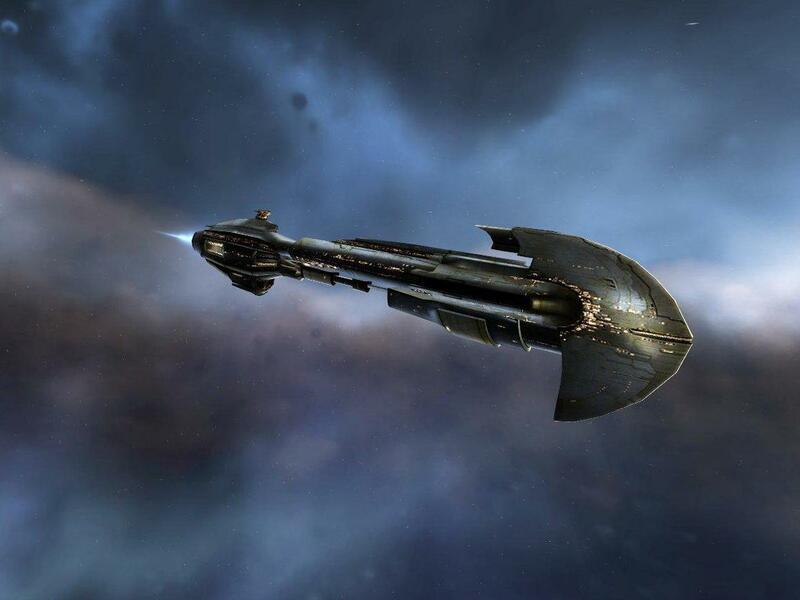 Some people protect the gank targets as an in-game hobby with a Griffin for example, others prefer stepping up to ships like Falcon. Their motivations, however, remain the same. Standing up. Making a difference. Below is just a partial list of some beautiful counter-ganking examples that emerged recently from all around Highsec. 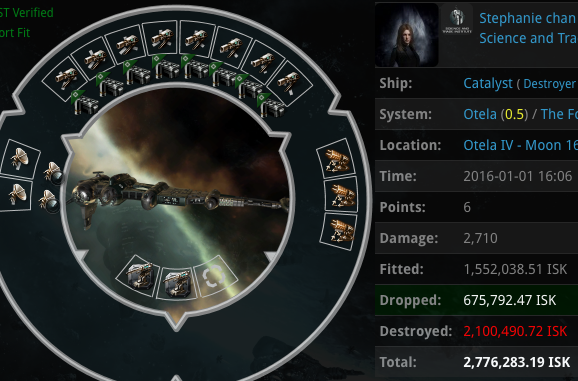 Ganker Stephanie chan started the new year with the activity that fits her best: failing to gank miners. Content generator Mai Khumm successfully stopped her DPS which resulted in a failed gank. Stephanie is known for some of his ganks that work well when it's calm out there, but this time, Mai said "No." An hour later, Stephanie came back to Otela again. This time, however, she was not alone. She brought 2 other Catalyst pilots with her: Yofarmeo Loqueveo and Guille Minero. Obviously, Stephanie wanted to succeed this time. Confident and determined, they arrived in Otela III - Asteroid Belt 1, engaged the miner and went criminal. Needless to say, with the DPS of 3 Catalysts in a secluded asteroid belt, the gank was about to succeed. Or not. That's right, Stephanie failed again despite having the support of 2 friends. The Anti-gankers' opposition was even stronger compared to an hour ago. In addition to Mai Khumm, other content generators Vodka Revolution, Pepito Xineki and Eros Elanor contributed to the disruption of the gank with their teamwork. Stephanie's Catalyst was taken care of with interest: Vodka Revolution used his ECM Manticore to stop his DPS while Pepito Xineki pinned him down in case she aborts without going criminal. In addition to that, nearby miner Eros Enalor did an excellent example of "Mining Like a Boss": he deployed ECM drones to engage Stephanie's Catalyst, which meant additional jamming chance on her. In addition to being jammed, he had the privilege of not having to wait for NPC police since Pepito Xineki destroyed him completely long before the stupid, unneeded, over-buffed CONCORD arrived. "Invincible NPCs are the dumbest idea since solar powered torches. Given that this is supposed to be a player-driven universe they make even less sense here than in other games." Ganker Zopiclone is not only courteous, but she's also relatively more successful compared to Stephanie. She has delivered many punishments to the stupid full-time-AFK carebears. However, sometimes it doesn't work. BluewingSniper's Griffin emerged in Raneilles to give some electronic education to her Catalyst. 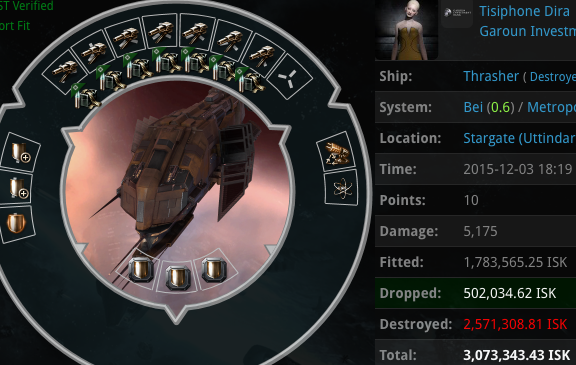 As a result, the gank attempt was ruined and no mining ship was destroyed. Blueing's alliance, Preatoriani, brought back memories for me. 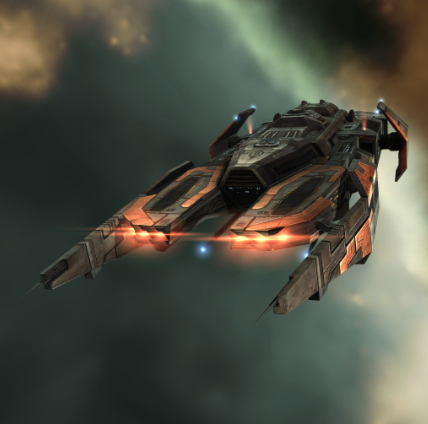 I had joined their "Mining for Good" fleet as a part of PLEX4GOOD in 2013 with my ECM Skiff. 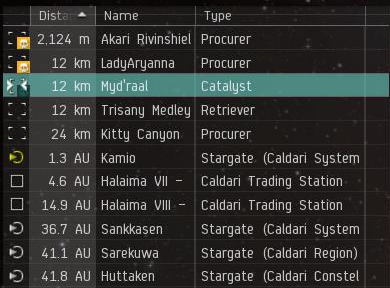 teh penguins had a few mysterious failed ganks in Piekura recently. Nevertheless, the above example is a bit clearer. It looks like he tried to gank a miner within sight of several vigilant capsuleers. 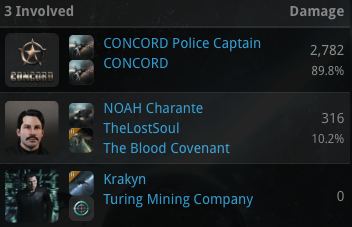 Miners Kunas Mont'ka, DOT GIB, Tol Stiy, Caldari Police 3rd Lieutenant and amana ram's engagement against the Catalyst resulted in a failed gank for teh penguins (no barge/exhumer KM was generated). "How?" one might ask. There were no jamming ships around. 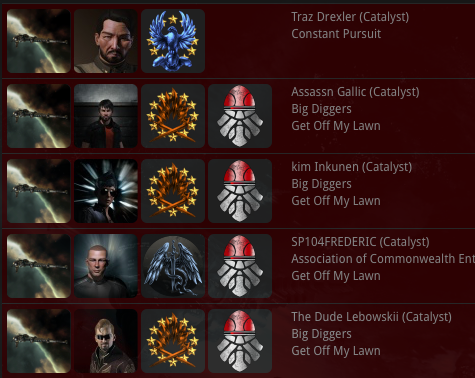 But a closer look on the kill mail shows once again why vigilant miners are good for the game. 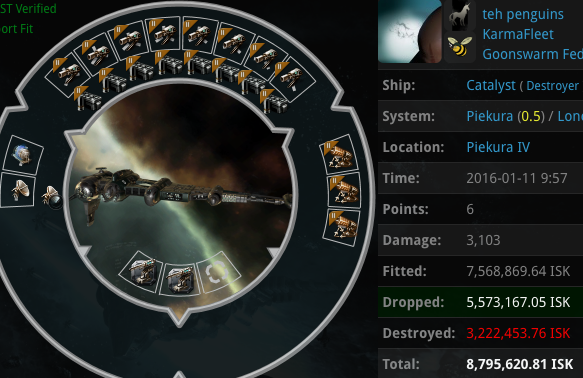 teh penguins probably lost his target lock because of amana ram's medium ECM drones, or he failed for another reason. Either way, there is no doubt that miner amana ram is on the right track. The next step in his successful mining career will be switching to the ECM Skiff. He is not a carebear, folks. He's a vigilant miner. Yes, there's a difference. Meanwhile in Kino, a ruthless gank fleet with 5 Catalysts were about to land on a miner. 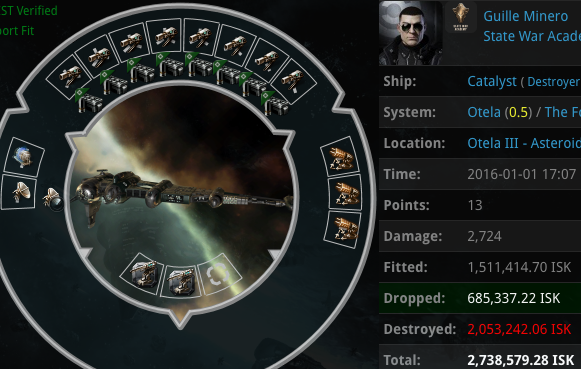 Lion Drome engaged 3 of the Catalysts with his Griffin Navy Issue's magnetometric jammers, which resulted in a considerable DPS loss for the criminals (=not enough DPS to kill their target). The gank was prevented successfully. The battle report can be found here. 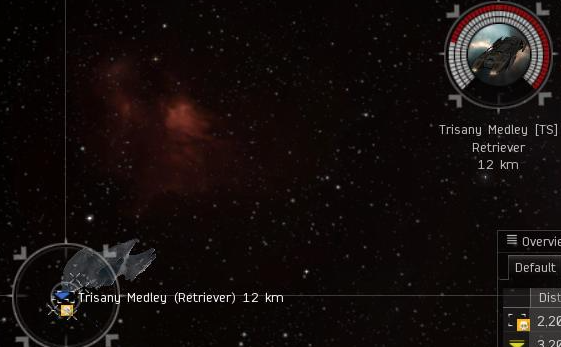 It's interesting to note that Lion Drome is actually a Lowsec PvPer and a suicide ganker. 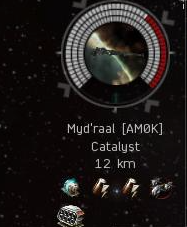 He is another example of the fact that Anti-ganking not only transcends corporations or alliances, but also offers an enjoyable Highsec emergent gameplay possibility to capsuleers with a huge variety of backgrounds: industrialists, miners, Lowsec roamers or even suicide gankers. My previous Anti-Ganking post was about tackling the outlaws in Highsec. There is no doubt that it's one of the best ways of disrupting a ganker's operation. Ganker Tisiphone Dira is known for her monumental portraits that amaze people. Many residents of C&P actually believe that her head can turn 360 degrees. Despite being extraordinarily educated for a ganker, she lacked a proper ganking permit, which is a violation of the Neo-code. Vodka Revolution didn't like that. 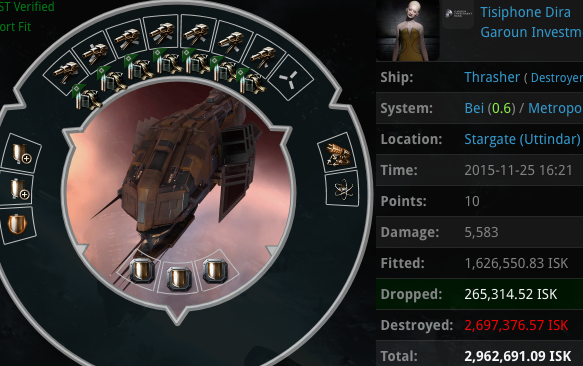 While Tisiphone was navigating in Highsec looking for a stupid AFK target, he succeeded in tackling her Thrasher at the Uttindar star gate in Bei, and faction police did the rest. Tisiphone's operation was disrupted successfully. Anti-Gankers -the real ones- are content creators by nature. Vodka Revolution wasn't convinced about Tisiphone's loyalty towards GankerJamming, so he kept a close eye on her. Several days later, he once again tackled this outlaw Thrasher and ruined her entrance to Bei. He also activated a jammer to convey a stronger message. 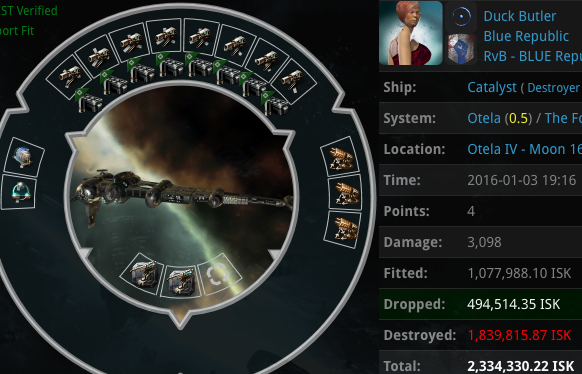 Don't get me wrong, Tisiphone does a pretty good job when it comes to waking up the stupid full-time AFK autopiloters, but she certainly has a low chance of surviving a disruption from a dedicated Anti-Ganker. On behalf of Vodka Revolution, I hereby address the following message to this particular ganker who seems to enjoy other languages. Ich Heisse Azov Rassau. Mein Deutsch ist nicht so gut. Ich bin ein Anti-Ganker, Du bist eine Ganker. Wollen Sie ein Ganking Permit? Some gankers have truly creative and beautiful names. Salah ad-Din al-Jawahiri is one of them. Unlike Gaylord Fappington, Salah ad-Din's name carries an exotic variety of inspiration, culture and history: Sultans of Egypt, Persian Imams, the cosine law of Ghyath-Al-Din Jamshid Kashani, stories of the South African author Wilbur Smith, the beautiful poems of Muhammad Mahdi Al-Jawahiri or the strategic placement of political figures in Egypt to stop the bribery in Suez Canal. 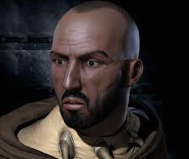 Salah ad-Din's gank attempt in Otela was dealt with thanks to the intervention from miners CONCORD Police Captain, ERIS LUCAN, Paolo Francesca, Alistair Shepard and Eros Elanor. While CONCORD was busy w***ing on the KM (without really contributing to anything), an ECM Nemesis and a Skiff with ECM drones were already ruining Salah ad-Din's gank attempt which didn't result in any barge/exhumer kill mail. This unique expression pretty much covers it. 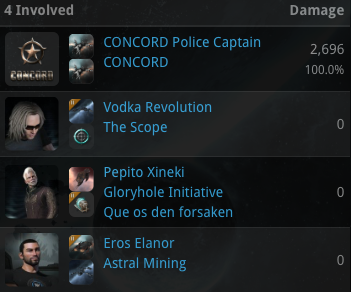 CONCORD is the most over-powered kill mail wh*** in this universe. The presence of Kraken's Falcon and the battle-Procurer of NOAH Charante was enough to ruin Duck Butler's gank attempt in Otela. 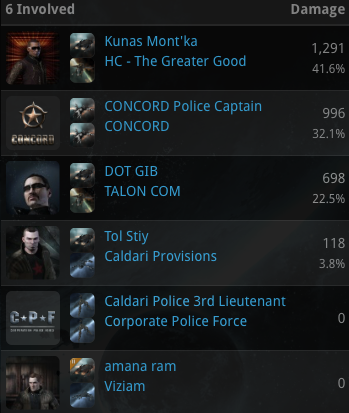 I think it is time for a nerf to this over-powered CONCORD monstrosity as well as the Faction police so that there are more possibilities to exalt the player-driven conflict between Highsec players. This one is quite older, but the motivation behind it deserves being mentioned. You know, some gankers adapt by fitting ECCM modules to counter the jammers, which in turn incites us to innovating as well and trying different things, making a difference. That's the beauty of competitive EVE. "High sec was never meant to be 100% safe. Get that idea out of your head. 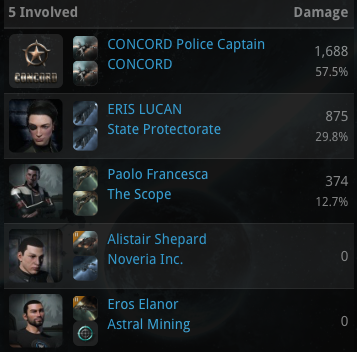 CONCORD is punishment, not protection. If you want New Eden to be safer, it’s up to you to make that happen. So keep doing what you do, white knights. Oppose CODE. 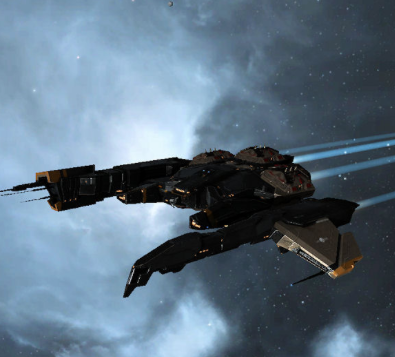 and all the rest of the bad guys in Eve. Force us to get creative and adapt, and we’ll do the same for you. Only good things can come from it. At the end of the day, you’ll have done something new and different." Destroyers don't have huge capacitor amounts, so a ship like the Armageddon can actually shut down a Catalyst completely with a few Heavy Energy Neutralizers. Alexander Kaan wanted to test it and see if it works as a way to counter ganks. Why hello there. A ganker named Myd'raal landed on top of a Retriever as usual, and he opened fire. Alexander promptly applied both neutralizers. The Catalyst's 650 GJ capacitor was emptied by the two heavy neutralizers which had a combined neutralizing amount of 1200 GJ (600 GJ each). Consequently, upon being neutralized, the ganker's blasters stopped working. Alexander Kaan > and 2x of them for each catalyst. Slow clap and a Captain Morgan Rum to you sir. I sincerely applaud all of you who have the tenacity to put up a fight. I’m not talking about the ones who just sit around shooting criminals after a gank target is lost; I’m speaking to those players who are actively looking for ways to foil ganks. 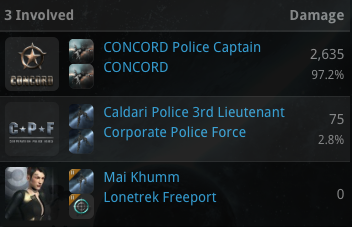 They didn't go to forums to whine or demand more buffs to CONCORD response times or Mackinaw EHP. They didn't say "someone else do it". They went in-game and used in-game solutions to disrupt the ganks and they succeeded. In other words, they played EVE. Long live the Triangle of Content! I keep ecm drones in all my mining ships. 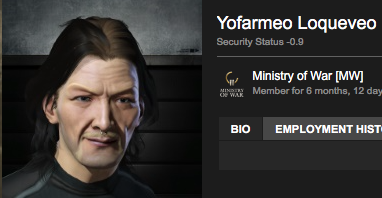 I also refuse to use mining laser upgrades. 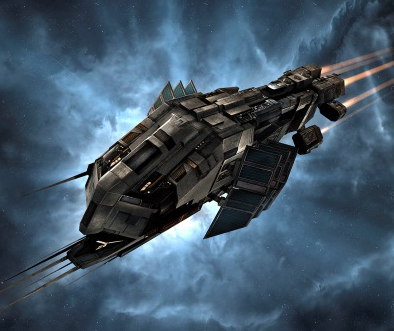 Keeping the low slots open for T2 hull upgrades (With T2 Hull rigs). For the shield I usually fit T2 invulnerability shields and cheap deadspace mods that are only slightly better than the T2 versions. (static resist mods). I don't bother fitting shield amps or shield reppers. I go strait tank to avoid the gank. If I do get a gank attempted against me I just dock up and wait out the timers then switch to a different activity. 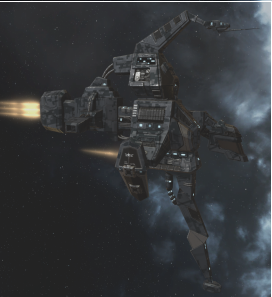 I have more than one way to earn money in eve. Mining just so happens to be the most relaxing to sip coffee and burn a cig while playing.